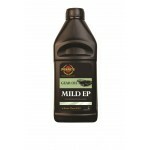 Gear Oil and Transmission Fluids There are 8 products. 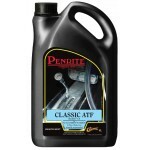 Premium mineral, DEXRON IID, multi-vehicle, automatic transmission fluid for classic & older transmissions that require Type A/Suffix A or GM DEXRON/DEXRON II fluids. 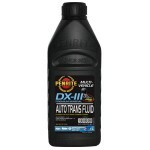 ATF DX-III is suitable for car, light commercial, 4WD and heavy duty truck automotive transmissions and power steering units where this type of fluid is specified. This product has been carefully balanced to ensure correct performance in automatic transmissions that require GM DEXRON-III and DEXRON-II type products. Gear Box Oil 30 is suitable for use in classic sports cars where it is specified that the original monogrades should be used in the gearbox. Suitable for use in replacing SAE 20W-60 and 25W-70. Gear Box Oil 40 is suitable for use in classic sports cars where it is specified that the original monogrades should be used in the gearbox. Suitable for use in replacing SAE 20W-60 and 25W-70. Transoil 90 is a gearbox oil that suits Edwardian cars. It does not contain any aggressive load carrying additives. Not for use in axles fitted with hypoid gears. Transoil 140 is a gearbox oil that suits Edwardian cars. It does not contain any aggressive load carrying additives. Not for use in axles fitted with hypoid gears. Transoil 250 is a gearbox oil that suits Edwardian cars. It does not contain any aggressive load carrying additives. Not for use in axles fitted with hypoid gears.